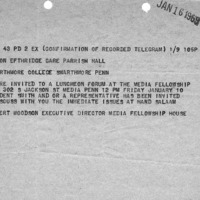 Robert Woodson was the director of the Media Fellowship House at the time of the 1969 sit-in and had been working with black Swarthmore students previously through the Media Fellowship House, CHIP, and Accent Africa. 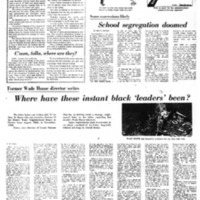 At the start of the 1969 sit-in, Robert Woodson facilitated a conversation between Clinton Etheridge and Gilmore Stott. 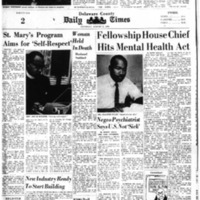 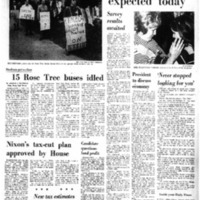 After the death of Courtney Smith, Woodson organized black community members to drive students to the Fellowship House, where they stayed for a few days. 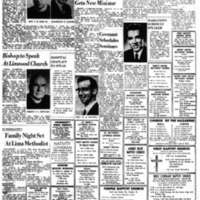 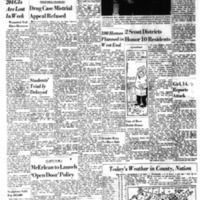 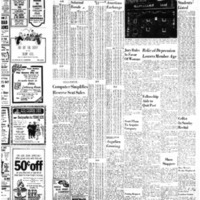 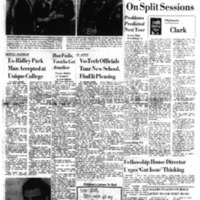 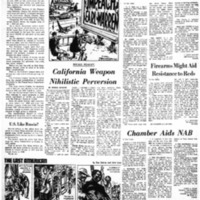 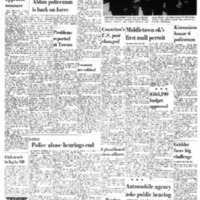 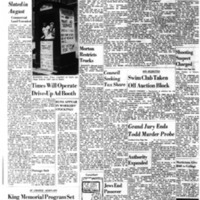 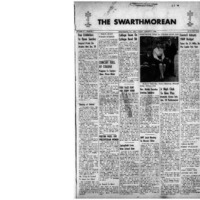 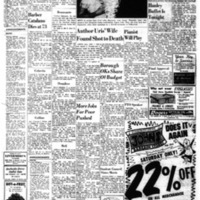 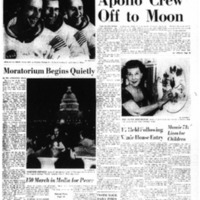 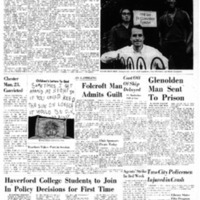 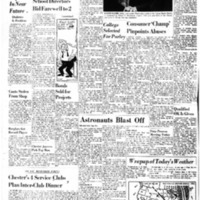 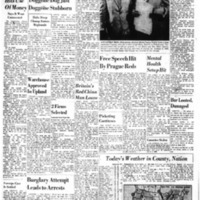 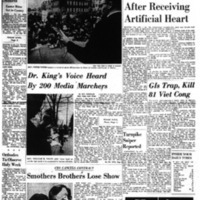 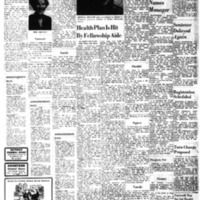 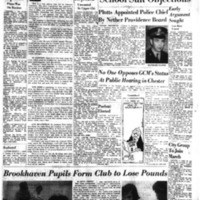 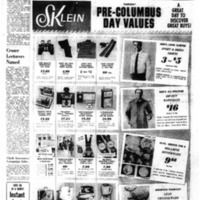 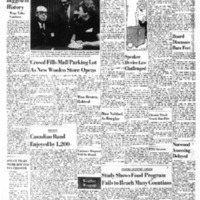 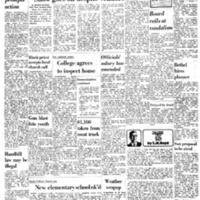 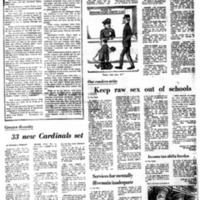 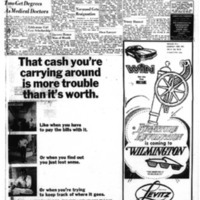 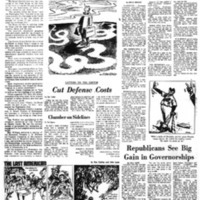 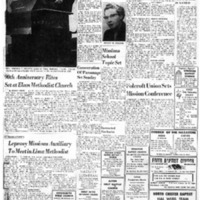 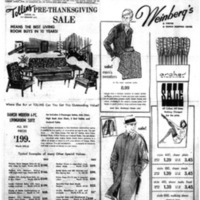 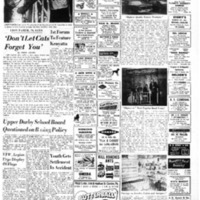 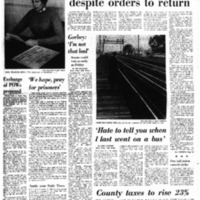 These clippings from the Delaware County Times and The Swarthmorean chronicle some of Woodson's activities between 1969 and 1970.